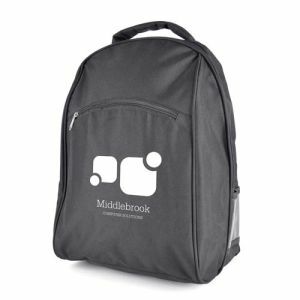 Printed backpacks and personalised rucksacks are great value for money and most have a large branding area to carry your company name, logo or message far and wide. 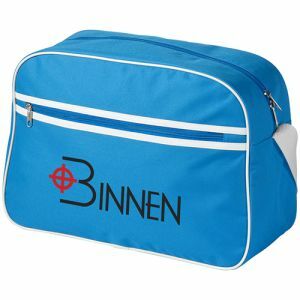 Some items can even be printed in eye-catching full colour for maximum impact. 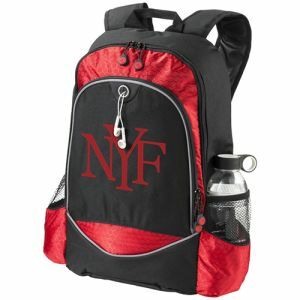 Custom backpacks are available for budget-friendly giveaways or higher value corporate gifts. 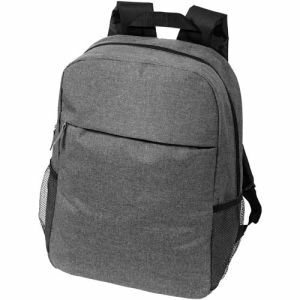 One size definitely does not fit all purposes, so if you need some help to find the best option to suit your needs, please speak to the friendly UK based sales team at Total Merchandise to discuss your printed backpack requirements. 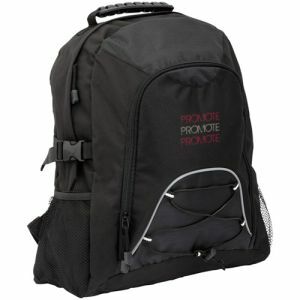 From its humble beginnings in 1952 as a hiker's kit bag, the rucksack has come a long way and is now the bag of choice for commuters, students and parents to transport laptops, folders and papers. 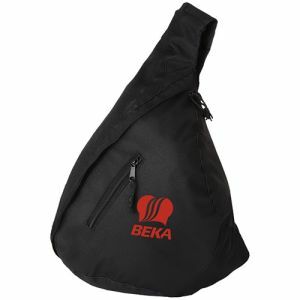 A more ergonomic choice than a more traditional shoulder or hand-held bag. 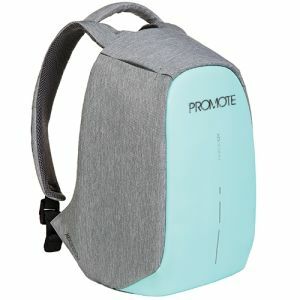 For the business traveller or executive commuter, the Compact Safe Pocket Backpacks are available in a selection of pastel and trendy shades, will hold a laptop and tablet and boast a number of hidden pockets to keep belongings safe and secure. 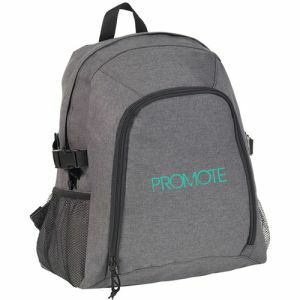 These executive promotional backpacks are high on quality and deliver on both form and function to a discerning audience. 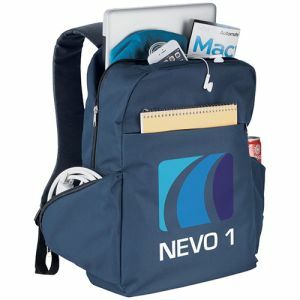 Choose these custom backpacks if security and anti-theft messages are key to your business or your target market. 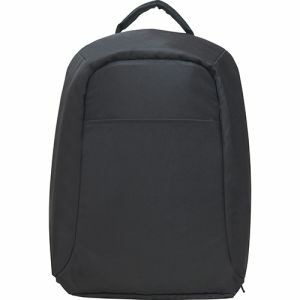 For a printed rucksack that makes a more subtle statement, the sleek black Executive Secure Backpacks feature anti-theft hidden zippers and can be branded with your logo or company name in a single colour for maximum exposure on the daily commute or business travel. 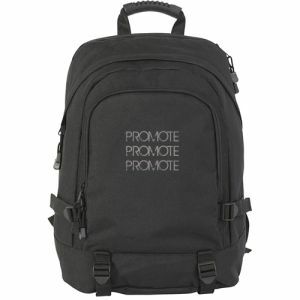 The perfect printed backpack for anyone who likes to travel light is the Triangle City Bag. 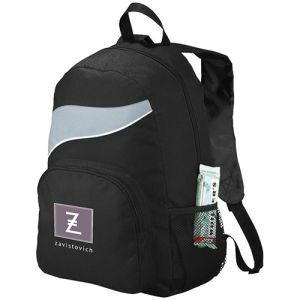 Its compact, trendy design will appeal to millennials and students, with a mobile phone pouch and zipped pocket to keep tickets or lanyards to hand. 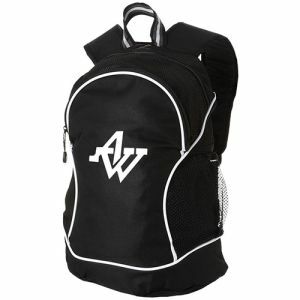 With your logo printed boldly to the front, these are great little custom rucksacks. 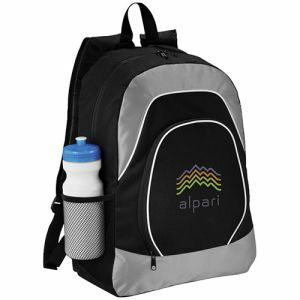 Promotional backpacks or personalised rucksacks also make great saleable merchandise and fundraisers to promote good causes or raise extra funds for schools and colleges. 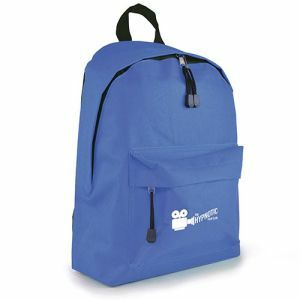 For a high impact, colourful and budget-friendly custom backpack, check out our best selling Promotional Backpacks. 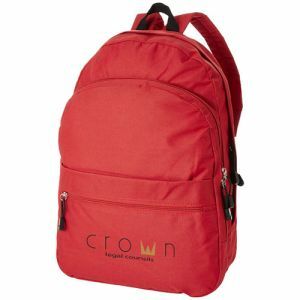 With large main compartments, spacious zipped front pockets and padded shoulder straps, these personalised rucksacks come in a range of modern and classic colours appealing to young, consumer and business audiences alike. 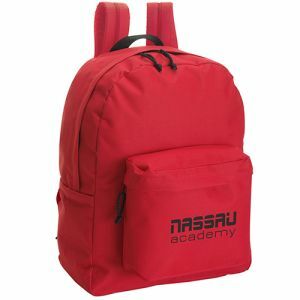 Throughout the USA, many community programs focus on backpacks as a way to help underprivileged students - such as Backpack Buddies supplying stationery items at the start of term or weekend food supplies for needy students through Blessings in a Backpack. 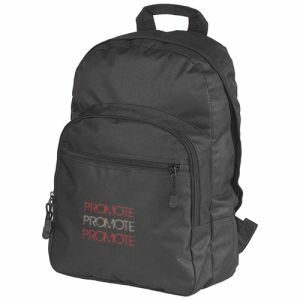 If your business, church or community would like to start a similar scheme, get in touch with us to discuss the most cost-effective printed rucksack for your needs. 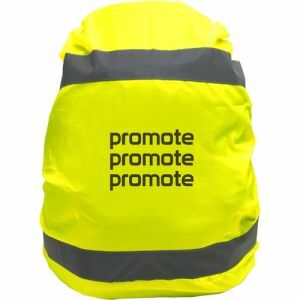 For safety or winter campaigns or promotions aimed at schools, colleges or universities, cyclists or walkers, a Hi Vis Backpack Cover is a lightweight alternative for direct mail campaigns and equally suited for high or low volumes. With reflective stripes, this high vis cover fits over most standard rucksack or backpack styles helping walkers, cyclists or runners stay visible even in low light or poor weather conditions. 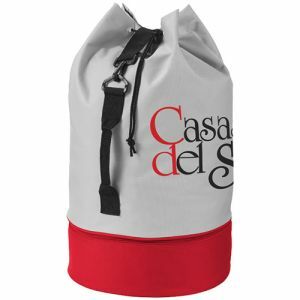 With a large print area, your company logo is ensured high visibility in all weathers on this versatile printed rucksack cover. 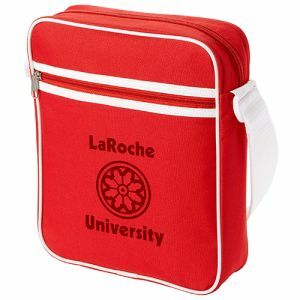 And don’t forget that we also stock a number of retro-style shoulder bags – the San Diego Shoulder Bags are a stylish alternative to a rucksack and will definitely appeal to students. The spacious branding area will advertise your name around the campus – perfect if your business wants to get in front of anyone yet to start their future career.